2017 was quite a year! We saw so many big events in the political arena, international conflict, terrorist attacks, and scandals, to name a few. Even with all this turmoil, the US economy is strong with low unemployment and now a significant uptick in growth. Though no one can predict the future for the convenience store industry, we can ask some questions that will at least be partially answered by the end of 2018. First, will gas prices continue to rise? Gas prices are now about 20% higher than they were one year ago. With the global use of oil up significantly this past year, we would anticipate this to continue with the generally strong worldwide economy. This will begin to impact consumers ability to spend, including what they are able and willing to spend in your store. Will the continued growth in online buying impact the c-store industry? The simple answer is yes. For example, as consumers take advantage of online food ordering, both for grocery items and meals, it will be critical for c-stores to capture this trend by offering robust mobile food ordering (and maybe even selling products through an online channel). Will electric cars, self-driving cars, and car sharing impact the frequency of consumers who shop at their local c-store? In short, yes. With that being said, in 2018 it will be even more critical that you create a positive in-store experience that keeps driving customers into your store and not just to your pumps. Just look around you: consumers are constantly connected to their devices. They use them for many of their loyalty programs, from airline apps for check-in to Starbucks for ordering and paying - it’s how consumers want to be connected to their favorite businesses. Mobile in the c-store space isn’t exclusive to loyalty or rewards programs: it can also include things like food ordering, product news, gaming, and partnering with other groups, all of which make the app worth a consumer’s time to download and use. With a solid mobile solution that engages customers, you will be able to target relevant and timely messaging to your customers to drive them in store. We will see continued effectiveness of text offers, and even more significance once a larger percentage of customers are actively using a mobile app for c-stores. Most businesses are getting rid of the plastic cards for their programs. Consumers simply don’t want to carry a card, and for most businesses it’s a waste of money to print them in addition to not being good for the environment. 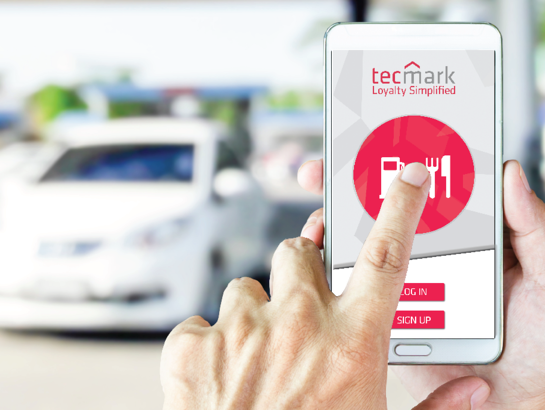 Tecmark is committed to being the leader in all-digital rewards programs for the convenience store industry, and we understand the importance of a programs without cards: it’s good for you, your customers, and the environment. More partnering with your wholesalers and suppliers is also a trend that we see in the c-store industry. With your improved ability to know and connect with your customers, these partners are increasingly willing to provide funding to promote their products. It gives you the dollars to fund your program and the opportunity to offer compelling deals to your customers. We wish all of you a wonderful Holiday Season, and a great 2018! !